Designer John Whitledge of Trovata launched Birds of Paradis, a knitwear collection to celebrate his greatest passion: a dedication to continually explore faraway lands and translating the rich tapestry of these varied adventures into his design vernacular. Tweed yarns of 100% lamb and merino wool are given a special wash for an extra soft and lofty hand. 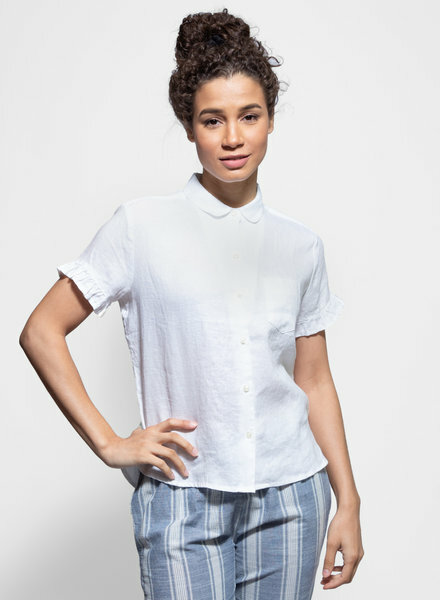 A v neck top with poet shaped sleeves, mother of pearl buttons down the front, ladder trim, and pintuck details. 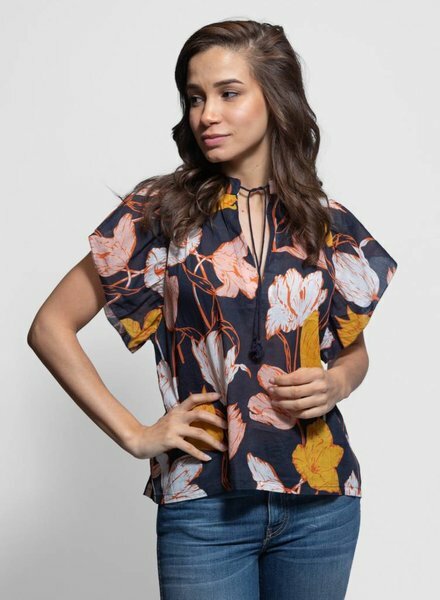 A light weight, loose fitting blouse with deep v split neck with ties, and short sleeves with trim detailing. 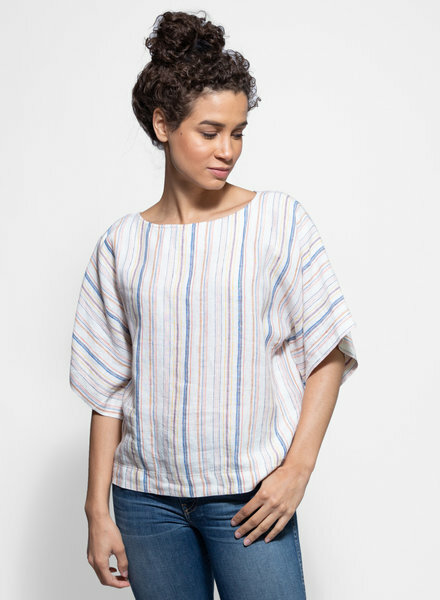 A short sleeve top with a boat neckline, extra wide dolman sleeves and straight bottom hem in a linen stripe. 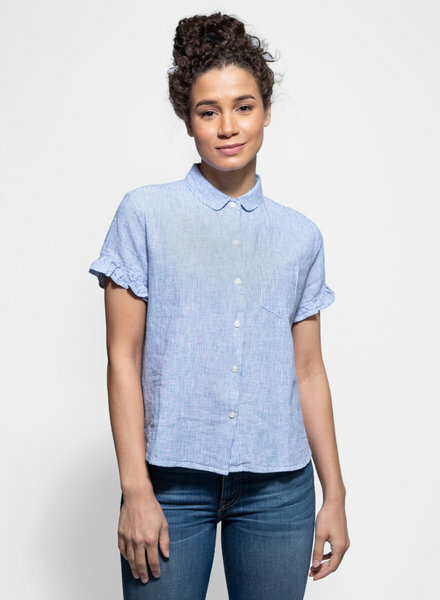 A short sleeve, button up shirt has a slightly shrunken body and ruffle details at cuff. 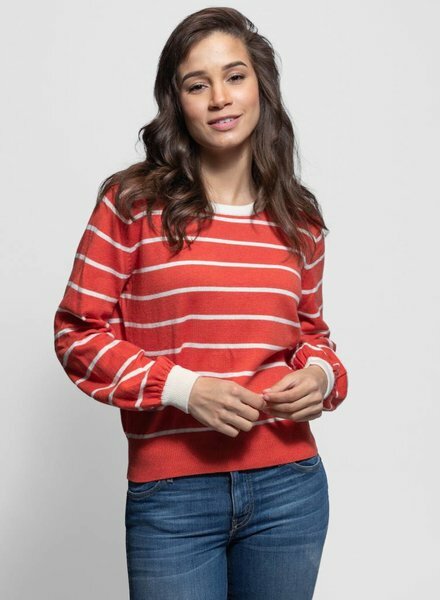 A lightweight cropped sweater with gathered cuffs. 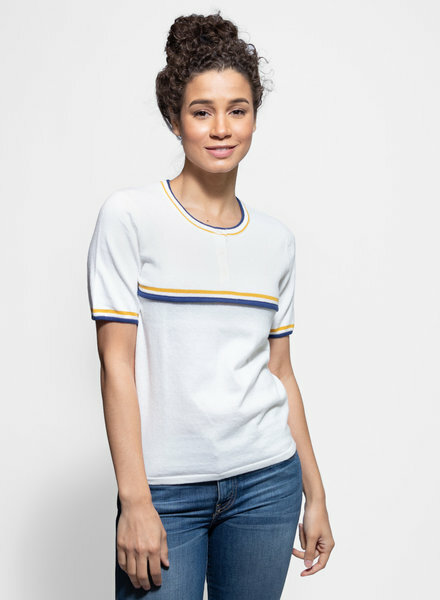 A sporty, short sleeve sweater features buttons at neck and stripes across the body as well around the collar and sleeves. A midi length dress with pockets along the side seams, a sash belt, side slits and a hidden front placket covering antique white buttons. 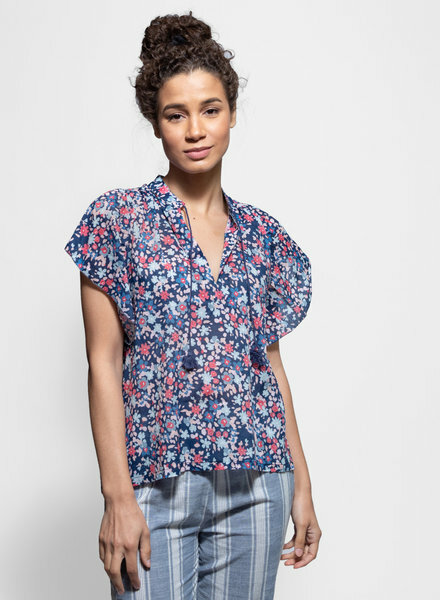 A short sleeve jumpsuit with a V neck front and slightly open back is fitted at the waist with a self-fabric waist tie. 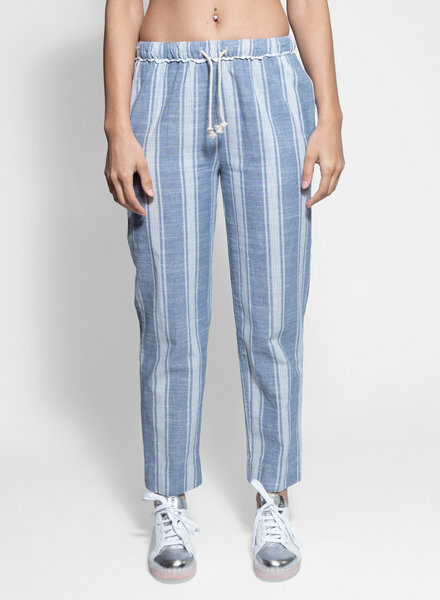 An easy, pull on pant with patch back pockets and cord drawstring elastic waist. 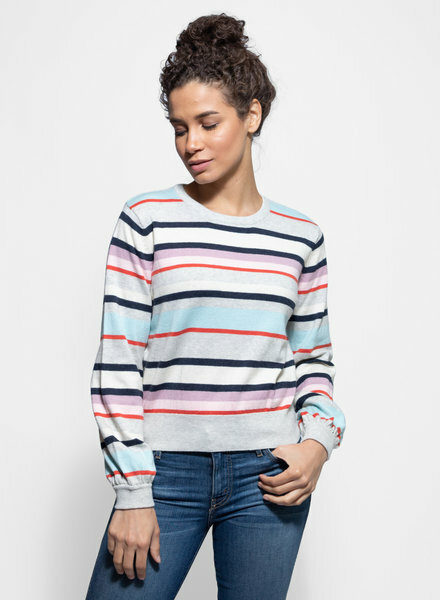 A short sleeve pullover style crew neck sweater with stripes on collar and sleeves. 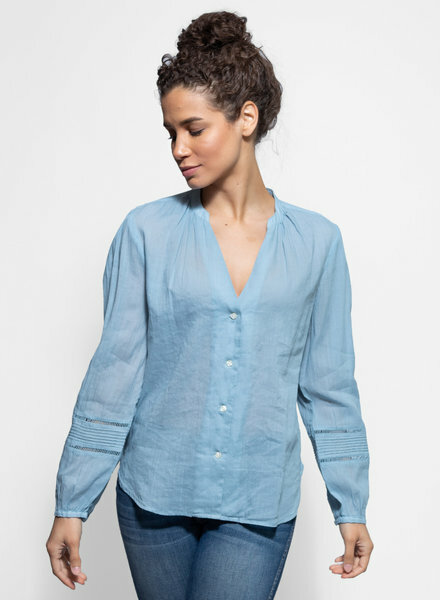 A linen shift dress with a self-fabric tie closure at back of neck. 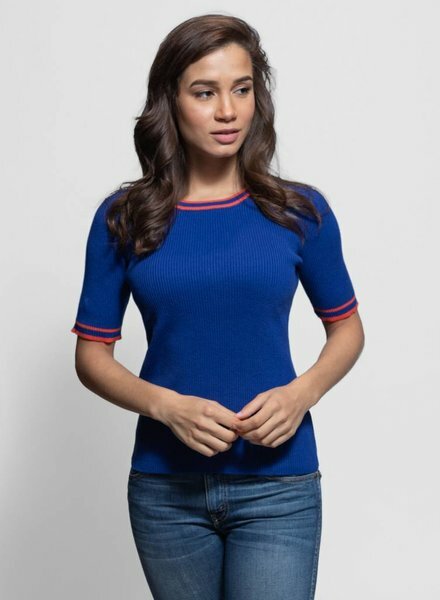 A dolman sleeve v neck dress with a fitted bodice, self fabric belt, and a midi-length curved hem.